Lots has been said about warming temperatures and rising sea levels, but a new study puts the spotlight on a more imminent threat to coastal communities: extreme waves that are growing taller in some parts of the world. Data from buoys off the Pacific Northwest coast found that since the mid-1970s the height of the biggest waves has increased on average by nearly four inches a year. That’s about 10 feet over that period. “The waves are getting larger,” said lead author Peter Ruggiero, an assistant geosciences professor at Oregon State University. In the study published in the journal Coastal Engineering, Ruggiero and his colleagues report that the reasons are not completely certain. The team also looked at how high a “100-year event” might be, given that planners use those scenarios in approving development projects. Using the new data set, the researchers estimated that the biggest waves could get up to 46 feet tall — a 40 percent increase from 1970s estimates of 33 feet. Ruggiero said that the study reinforces earlier ones showing similar trends off some other coasts, among them the U.S. Southeast Atlantic, the Northeast Pacific and southwest England. On the other hand, areas like the North Sea and the Mediterranean have shown little to no increase. Ruggiero said he’s working on a publishing another study that shows the increase in Pacific Northwest wave heights over the last 30 years “has been significantly more important than sea level rise” in terms of flooding and erosion threats to the coast. Both “winners and losers” are expected in terms of beach stability, with some areas gaining sand, but already some negative effects are visible in coastal towns like Neskowin, Ore.
“Neskowin is already having problems with high water levels and coastal erosion,” Ruggiero said. “Communities are going to have to plan for heavier wave impacts and erosion, and decide what amounts of risk they are willing to take, how coastal growth should be managed and what criteria to use for structures,” he added. Ruggiero emphasized that another factor for the Pacific Northwest is that a large earthquake could drop the shoreline by several feet, worsening the impact of extreme waves. That proved to be the case in Sumatra, Indonesia, during the 2004 quake and tsumani, he said, and some of the shoreline there dropped by up to five feet. The Obama administration has proposed a 25% cut in the research and development budget for one of the most promising renewable energy sources in the Northwest – wave and tidal energy. At the same time the White House sought an 82% increase in solar power research funding, a 36% increase in wind power funding and a 14% increase in geothermal funding. But it looked to cut wave and tidal research funding from $40 million to $30 million. The decision to cut funding came only weeks after the Interior Department suggested that wave power could emerge as the leading offshore energy source in the Northwest and at a time when efforts to develop tidal power in Puget Sound are attracting national and international attention. By some estimates, wave and tidal power could eventually meet 10% of the nation’s electricity demand, about the same as hydropower currently delivers. Some experts have estimated that if only 0.2% of energy in ocean waves could be harnessed, the power produced would be enough to supply the entire world. In addition to Puget Sound and the Northwest coast, tidal and wave generators have been installed, planned or talked about in New York’s East River, in Maine, Alaska, off Atlantic City, N.J., and Hawaii. However, they’d generate only small amounts of power. The Europeans are leaders when it comes to tidal and wave energy, with projects considered, planned or installed in Spain, Portugal, Scotland, Ireland and Norway. There have also been discussions about projects in South Korea, the Philippines, India and Canada’s Maritime provinces. The proposed cut, part of the president’s budget submitted to Congress, has disappointed Sen. Patty Murray, D-Wash. “Wave and tidal power holds great promise in helping to meet America’s long-term energy needs,” Murray said, adding that Washington state is a leader in its development. “It’s time for the Department of Energy to focus on this potential. But playing budget games won’t get the work done.” Murray’s staff said that while $16.8 billion in the recently passed stimulus bill is reserved for renewable energy and energy efficiency, none of it is earmarked for wave and tidal power. The Snohomish PUD could have a pilot plant using three tidal generators installed on a seabed in Puget Sound in 2011. The tidal generators, built by an Irish company, are 50 feet tall and can spin either way depending on the direction of the tides. The units will be submerged, with 80 feet of clearance from their tops to the water’s surface. They’ll be placed outside of shipping channels and ferry routes. The pilot plant is expected to produce one megawatt of electricity, or enough to power about 700 homes. If the pilot plant proves successful, the utility would consider installing a project that powered 10,000 homes. “A lot of people are watching us,” Klein said. The Navy, under pressure from Congress to generate 25% of its power from renewable sources by 2025, will install a pilot tidal generating project in Puget Sound near Port Townsend next year. In Washington state, law requires that the larger utilities obtain 15% of their electricity from renewable sources by 2020. The law sets up interim targets of 3% by 2012 and 9% by 2016. Most of the attention so far has focused on developing large wind farms east of the Cascade Mountains. Because wind blows intermittently, however, the region also needs a more reliable source of alternative energy. Tidal and wave fit that need. Also, at least with tidal, the generators would be closer to population centers than the wind turbines in eastern Washington. “The potential is significant and (tidal and wave) could accomplish a large fraction of the renewable energy portfolio for the state,” said Charles Brandt, director of the Pacific Northwest National Laboratory’s marine sciences lab in Sequim. 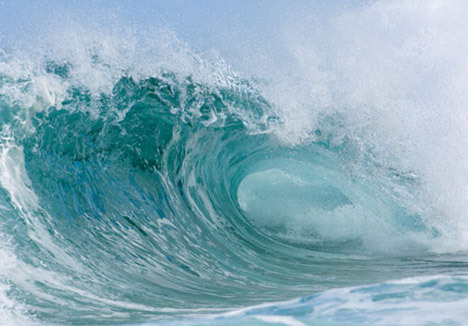 A bill introduced in the Senate aims to encourage development of renewable ocean energy. Sen. Lisa Murkowski (R-Alaska) today introduced the legislation as a companion to a bill introduced in the U.S. House of Representatives by Rep. Jay Inslee, (D-Wash.), that would authorize as much as $250 million a year to promote ocean research. The Marine Renewable Energy Promotion Act of 2009 and a companion tax provision would expand federal research of marine energy, take over the cost verification of new wave, current, tidal and thermal ocean energy devices, create an adaptive management fund to help pay for the demonstration and deployment of such electric projects and provide a key additional tax incentive. Authorize the U.S. Department of Energy to increase its research and development effort. The bill also encourages efforts to allow marine energy to work in conjunction with other forms of energy, such as offshore wind, and authorizes more federal aid to assess and deal with any environmental impacts. Allow for the creation of a federal Marine-Based Energy Device Verification program in which the government would test and certify the performance of new marine technologies to reduce market risks for utilities purchasing power from such projects. Authorize the federal government to set up an adaptive management program, and a fund to help pay for the regulatory permitting and development of new marine technologies. 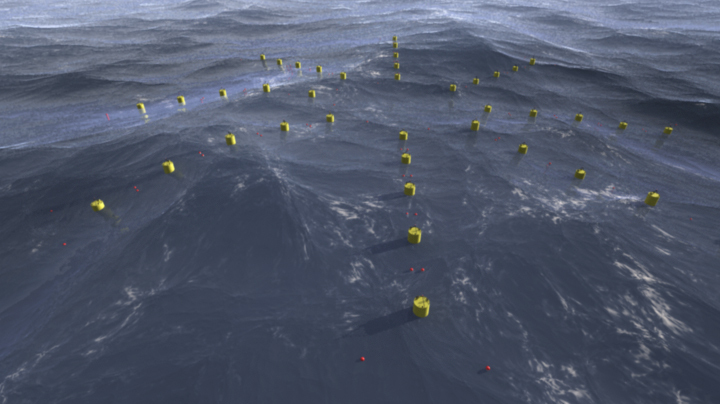 The Electric Power Research Institute estimates that ocean resources in the United States could generate 252 million megawatt hours of electricity–6.5% of America’s entire electricity generation–if ocean energy gained the same financial and research incentives currently enjoyed by other forms of renewable energy. “This bill, if approved, will bring us closer to a level playing field so that ocean energy can compete with wind, solar, geothermal and biomass technologies to generate clean energy,” Murkowski said. Palo Alto — Technology for tapping ocean waves, tides and rivers for electricity is far from commercial viability and lagging well behind wind, solar and other fledgling power sectors, a panel of experts said last week during a forum here on climate change and marine ecosystems. While the potential for marine energy is great, ocean wave and tidal energy projects are still winding their way through an early research and development phase, these experts said. Ocean and tidal energy are renewable sources that can be used to meet California’s renewable portfolio standard of 10 percent of electricity by 2010. But the industry has been hampered by uncertainty about environmental effects, poor economics, jurisdictional tieups and scattered progress for a handful of entrepreneurs. Finavera Renewables, based in British Columbia, recently canceled all of its wave projects, bringing to a close what was the first permit for wave power from the Federal Energy Regulatory Commission. And last fall, the California Public Utilities Commission (CPUC) denied Pacific Gas & Electric Co.’s application for a power purchase agreement with Finavera Renewables, citing the technology’s immaturity. Roger Bedard, head of the Electric Power Research Institute’s wave power research unit, said the United States is at least five and maybe 10 years away from the first commercial project in marine waters. A buoy at a Marine Corps base in Hawaii is the only wave-powered device that has been connected to the power grid so far in the United States. The first pilot tidal project, in New York’s East River, took five years to get a permit from FERC. Feo, who handles renewable energy project financing at his law firm, says more than 80 ocean, tidal and river technologies are being tested by start-ups that do not have much access to capital or guarantee of long-term access to their resource. That has translated into little interest from the investment community. But the belief in marine energy is there in some quarters, prompting the Interior Department to clear up jurisdictional disputes with FERC for projects outside 3 miles from state waters. Under an agreement announced last week, Interior will issue leases for offshore wave and current energy development, while FREC will license the projects. The agreement gives Interior’s Minerals Management Service exclusive jurisdiction over the production, transportation or transmission of energy from offshore wind and solar projects. MMS and FERC will share responsibilities for hydrokinetic projects, such as wave, tidal and ocean current. Maurice Hill, who works on the leasing program at MMS, said the agency is developing “a comprehensive approach” to offshore energy development. Interior Secretary Ken Salazar himself has been holding regional meetings and will visit San Francisco this week to talk shop as part of that process. Hill said MMS and the U.S. Geological Survey will issue a report within 45 days on potential development and then go public with its leasing program. “These next couple of months are really exciting times, especially on the OCS,” he said. Still, Hill acknowledged that the industry is in an early stage and said federal officials are approaching environmental effects especially with caution. But if projects do lurch forward, the Electric Power Research Institute’s Bedard said, the resource potential is off the charts. He believes it is possible to have 10 gigawatts of ocean wave energy online by 2025, and 3 gigawatts of river and ocean energy up in the same time frame. The potential is greatest on the West Coast, Bedard said, where “highly energetic” waves pound the long coastline over thousands of miles. Alaska and California have the most to gain, he said, with Oregon, Washington and Hawaii not far behind. To Feo, a key concern is the length of time MMS chooses to issue leases to developers. He said the typical MMS conditional lease time of two, three or five years won’t work for ocean wave technology because entrepreneurs need longer-term commitments to build projects and show investors the industry is here to say. Hill refused to answer questions about the length of the leases being considered by MMS. MendoCoastCurrent readers may recall Finavera’s inability to secure CPUC funding for the Humboldt project; noted below capitalization, financial climate as key reasons in these actions. Back in early 2007, Finavera’s Makah Bay project looked like it would become the first U.S. and west coast project deployment of wave energy devices. And this project also had a unique status based on Native American Indian land/coastal waters, so the rules of FERC, MMS were different due to sovereign status. Then AquaBuoy, Finavera’s premier wave energy device, sank off the Oregon coast due to a bilge pump failure in late October 2007. Recently noted was Finavera’s comment that they are currently focusing their renewable energy efforts toward wind energy projects closer to their homebase in British Columbia, Canada and in Ireland. Today I announce my intention to step down as chairman of the Federal Energy Regulatory Commission (FERC), effective January 20, 2009. Although my term as commissioner does not end until 2012, I will also immediately begin to recuse myself from FERC business, as I explore other career opportunities.